As part of ways in positioning and strengthening the party ahead of the 2019 general election, the leadership of the People’s Democratic Party in Uyo Senatorial District today meets with all party executives who were not delegates in the just concluded party nomination process which took place some weeks ago. The essence of the meeting according to the organizers is to appreciate and also to show the non delegates executives how important they are to the party. Speaking on behalf of the party, the state chairman of the People’s Democratic Party Obong Paul Ekpo said PDP remains the largest party in Africa because of the commitment of its members especially the executives at different levels and promised that the party will always take its member’s welfare as paramount. He charged them to go back to their different units and mobilize votes for the reelection bid of Governor Udom Emmanuel come 2019 election, emphasizing that Udom’s victory is the surest route for Uyo Senatorial District to ascend Hilltop Mansion come 2023. Also speaking, the senator representing Uyo Senatorial District in the red chambers, Obong Bassey Albert while thanking the non delegates executives for their continued support to the party urged them to remain focus as victory is sure for Governor Udom Emmanuel and other PDP candidates in the up coming general election. Many members of the party who spoke with news men expressed satisfaction with the People’s Democratic Party family and promised to win their respective units for the PDP. Comrade Udoekong Thomas the ward six publicity secretary of the party in his vote of thanks applauded the party for the wisdom and vision in organizing the thank you meeting, saying it is a first of its kind, and also timely. He assured the PDP Leadership of the executive’s resolved in working wholeheartedly for the victory of Governor Udom Emmanuel and other PDP candidates in the 2019 general election. Other dignitaries from Uyo Senatorial District who were present at the meeting include the Director General of Divine Mandate and a former Governor of the state, His Excellency Air Commodore Idongesit Nkanga, the speaker of the Akwa Ibom State House of Assembly Barry. Onofiok Luke, members of the federal house of Representatives as well as those in the state house of Assembly. 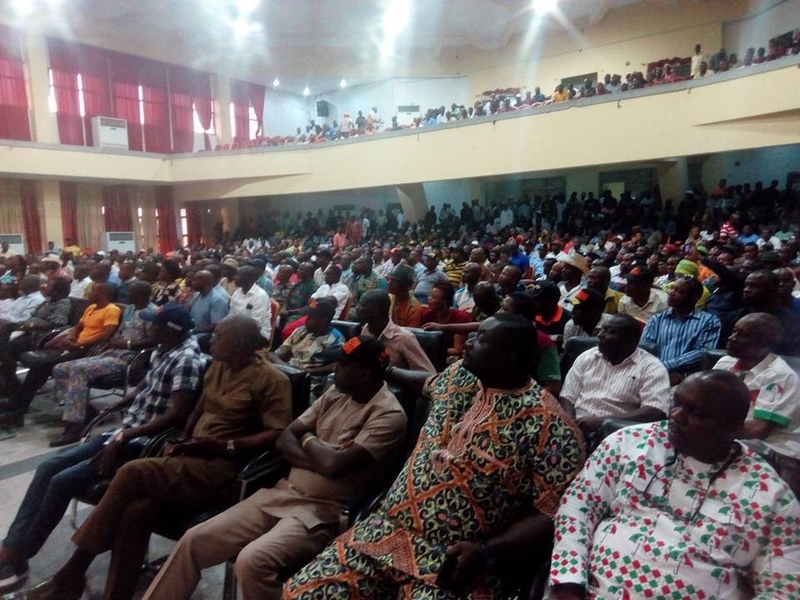 Others were the Local Government Council Chairmen of the nine LGA in the Senatorial District led by the council chairman of Uyo Elder (Hon) Imoh Okon, Chapter Chairmen, as well as the ward Chairmen.